You Are Here: Home > Which Compact Car is the Best? Are you commuting from the Northwest Indiana area and need a reliable compact car to get you from point A to point B? 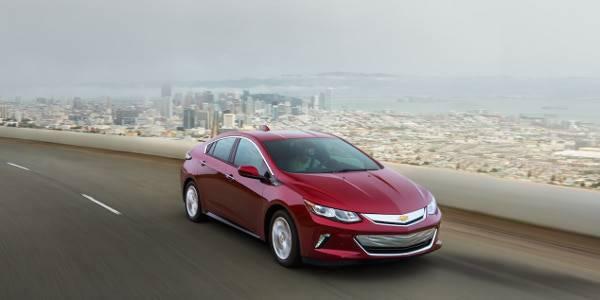 Is an eco-conscious vehicle important to you when buying a new compact car? Whatever the case may be, our Chevrolet dealership in Merrillville, IN offers a great lineup of compact cars to choose from, for nearly any driving situation. Learn more about the differences between the models with our detailed model research that follows. Have any initial questions about the compact cars in our new vehicle inventory? Give our team a call at (219) 947-4151. Some may think of it as small, but we think of the Chevy Spark as fun sized. Available in a number of bold exterior colors and offering an incredible 38 MPG on the highway, commuters and causal drivers alike will soar down Merrillville, IN area roads in one of the most energetic small cars available. Looking to upgrade your daily drive but still want to receive excellent fuel economy? The Chevy Sonic, available as a sedan or hatchback, will surely make your day much brighter, getting 38 MPG highway and offering the latest features and flawless modern design. Featuring sporty styling and a spacious interior, the Chevy Cruze Hatchback is a contemporary take on the classic small sedan. 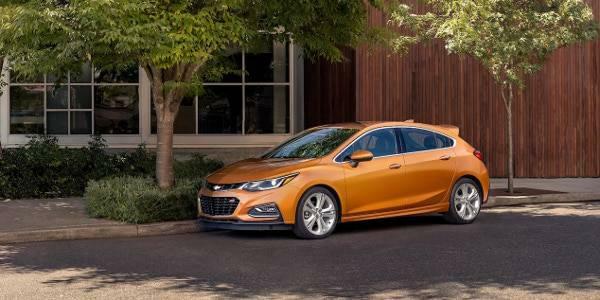 If you’re looking for a compact car with added interior space that gets great fuel economy, then the Cruze Hatchback is your best bet. 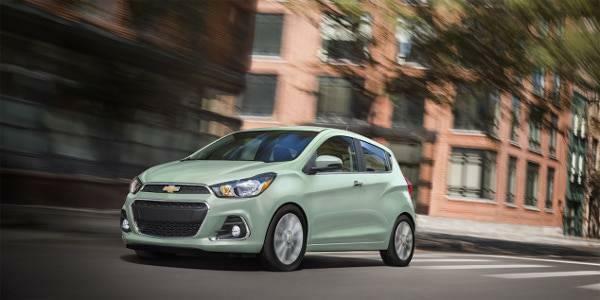 From financing a Chevy Spark to leasing the latest Chevy Sonic, you’ll find the options you’re looking for at Mike Anderson Chevrolet of Merrillville. Our auto finance experts can help get you into the Chevy of your dreams. They’ll take a number of factors into consideration to put you on the path to car ownership in no time. Why Choose Mike Anderson of Merrillville? As a six-time “Dealer of the Year” winner, Mike Anderson Chevrolet of Merrillville takes your time and needs into serious consideration. We believe that customer satisfaction is of utmost importance, so we’ll do everything we can to get you into the compact Chevy model of your choosing. 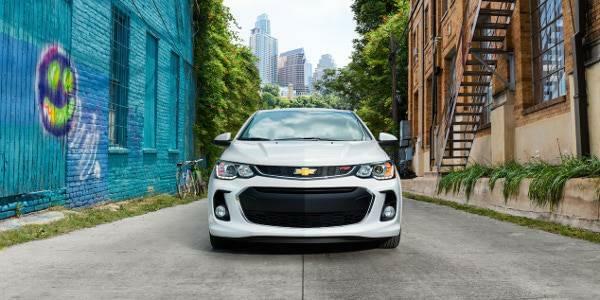 Once you’ve decided which compact car available at our Chevy dealership in Merrillville, IN you’re interested in, schedule a test drive to experience it first hand. As always, we welcome all of your questions, so send us a message or call (219) 947-4151 to speak with a product specialist directly.